Brittany Armstrong graduated from the University of Utah with a Bachelor's degree in English Teaching where she completed a Spanish language study abroad program in Oviedo, Spain. She went on to receive her Master's degree in Education with an ESL endorsement and teaching license at the University of Utah in 2015. In her free time Brittany enjoys reading novels, hiking, skiing, rock climbing, and camping in southern Utah. Rebecca Bowen received her bachelor’s degree in Special Education and Master’s in Behavior Disorders both from the University of Utah. In 2008, she earned her National Board Certification in Early Childhood Literacy. She lived and taught in Alaska as a correspondence teacher traveling to remote homesteads and villages and commercial salmon fishing during the summer. She has a passion for teaching and traveling and has spend time in Guatemala, Rwanda and Botswana doing literacy training with teachers. She joined SLCSE in 2017, where she teaches reading and special education. Ellie Brady graduated from the University of Utah Teacher Licensure program in 2000 with an English major and Linguistics minor. In 2005 she received her M.Ed. from the University of Utah with an emphasis in literacy. She has taught middle and high school for 14 years and spent a year working for the Utah State Office of Education. Emma Chandler has been teaching here at SLCSE for the past five years and teaches Pre-Calculus, AP Calculus, and Psychology. She graduated from the University of Utah with a Bachelor's Degree with a major in psychology and a minor in mathematics. She was a part of the Utah Math for America program which trains and supports new teachers in the field of mathematics. Emma completed her masters degree in Math Education in 2013. Myles Crandall graduated from Claremont McKenna College in 2010 where he dual majored in History and Government. He has taught in Ghana, Hong Kong and France. Most recently, Myles spent three years teaching at STRIVE Prep Sunnyside in Denver, Colorado. He also earned his Masters in Curriculum and Instruction from the University of Colorado Denver. When he's not teaching, Myles enjoys playing tennis and listening to NPR. Diane Crim has a bachelor’s degree in Mathematics Education (level 4), a minor in Computer Science and Statistics, and has completed graduate coursework in school psychology. She recently completed her masters degree in Math. She has been a middle school math teacher in SLC District for 30 years, and in 1999 was recognized as the Teacher of the Year for both the District and the State of Utah. Diane has worked as a Math Curriculum Specialist for the District, directing a collaborative initiative to create a math curriculum targeted to students who struggle with traditional approaches to mathematics instruction. These efforts were the basis for a model teaching collaborative which won a $1 million grant from the State of Utah to build and implement SLC School District’s Math Proficiency Network. In 2014 Diane was awarded the George Shell Award from the Utah Council For Mathematics Teachers, recognizing her as the exemplary secondary math teacher for the year. ​Tara Cripe has a bachelor’s degree in Physical Education/Coaching and a minor in Spanish from Weber State University and a master’s degree in Business Administration from the University of Phoenix. Tara lived in Argentina for a year and a half as a service missionary where she also developed her Spanish. She also worked as a Paraprofessional in special physical education in Granite School District. Additionally she has completed master’s level classes in special education, with an emphasis in Severe Special Education. Experiences she enjoyed are coaching Special Olympics basketball and girl’s high school soccer. Tara is passionate about refereeing youth soccer and has been a member of the United States Soccer Federation for 28 years. In her spare time, she volunteers with youth groups promoting positive healthy lifestyle activities. She loves going camping with her husband and two children. Ralph has earned a bachelor's degree in Math Teaching from the University of Utah. He became a fellow in the Math for America program through the University of Utah in 2010. Ralph completed his master's degree in Math Education in 2013. He is the advisor for the SLCSE FIRST Robotics team. Cavett has a B.S. degree in Environmental Studies and a Masters of Science in Experiential Education from the Parks, Recreation, and Tourism Department at the U of U. He has teaching certificates in Physical Education, Health and an endorsement in teaching ESL. Previous to his 6 years at SLCSE, Cavett worked for over 21 years as an environmental educator, consultant, designer, and fabricator of natural habitats for zoos, museums, and aquariums including Utah’s Hogle Zoo, the Living Planet Aquarium, the Nature Conservancy, as well as owning his own Exhibit Design and Fabrication Business. As a founding faculty member at SLCSE, he has enjoyed shaping the Healthy Lifestyles program, emphasizing an experiential and holistic approach to PE, Health, Character, and Life Skills. Last year, Cavett was nominated by the Utah Association of Health, Physical Education and Dance, APHERD, as the 2013 Recreation Specialist of the Year. Rachel Fletcher has a Bachelor's degree in French and a Master's degree in School Counseling. Oh so long ago, she was the recipient of the 8th grade Home Economics Award - her only major academic award to date. She spent the last twenty years moving from British Columbia to Seattle to Sweden to Oregon to Nepal to Washington to New Zealand, and then finally to Utah. In that time, she also did a lot of reading, running, writing, baking, house-cleaning, and child-rearing. She feels lucky to have stumbled upon a job as a Teacher's Aide at SLCSE, where she has found her niche as a school counselor. Jaime graduated from East High in 1999. He has been a custodian for 18 years. He started as a sweeper in 1995 as he was going to 8th grade at Glendale Middle School and has worked his way up to a Head Custodian position, which he has held for 13 years. 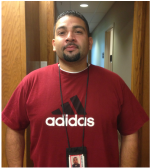 Before SLCSE, his most recent position as Head Custodian was at Highland High School. He loves to help people and to see a nice clean building which is why he has been a custodian for this many years. He has a great time being here at SLCSE and enjoys being around the faculty and students. Kelly Haakenson graduated from the University of Utah with a double major in Exercise and Sports Science, and Teaching History, along with a Secondary Teaching license. She went on to complete an ESL endorsement, and a Masters degree in Curriculum and Instruction. She is especially interested in creating learning opportunities for students outside the classroom by leading student trips to Mesa Verde and Washington D.C.
Niki Hack has a Bachelor’s degree in Biology and a PhD in Neuroscience; she has a teaching endorsement in Biology and ESL (English as a Second Language). Niki taught seventh grade Integrated Science at Northwest Middle School for three years before joining the SLCSE faculty in its inaugural year. Niki enjoys finding ways to integrate the seventh grade science curriculum with other disciplines, especially math. In 2014, Dr. Hack and Ms. Crim were jointly awarded the Utah Teacher of the Week for their work incorporating real science research into the classroom through collaboration with the University of Utah to highlight the plight of the pika in Utah. Niki fulfills some other roles at SLCSE including grant writer, after school program coordinator and newsletter editor. Dorrie has worked as an educator in the Salt Lake City School District for 23 years. She taught at Glendale Middle School for 20 years, teaching Health and AVID. Prior to working in Salt Lake City, she taught in South Carolina and the Middle East! She and her partner have five kids, all college grads they are proud to say! Dorrie is really look forward to teaching Health and PE to SLCSE students this year! Steve graduated from the University of Northern Colorado in Visual Arts Education with minors in Art History and Psychology. The last 20 years Steve has spent his time learning and refining his skills as a Master Carpenter. He worked in commercial construction with most of his jobs at the University of Utah. Steve has developed his art skills in areas including metal sculpture, marble sculpture, jewelry, and wood working. He enjoys building and working on anything that moves. Steve is excited to take the experience from his last 20 years and put his knowledge to work creating a classroom that engages students to find their sense of place and make connections with their learning and the big world outside their doors. He is currently working on his CTE endorsement in Technology and Engineering and is excited to be working with students in Lego League and First Robotics. Samantha has been teaching social studies for 3 years now. She enjoys sharing her love of the world with her students by making relevant connections between history and the modern issues we all are impacted by. In her classroom you will see students in the center of the learning. History is approached through using guiding inquiry based lessons in order to give students an opportunity to “Do” history by analyzing primary sources and creating their own narratives of what happened. When not teaching, Samantha loves spending time in nature exploring with her husband, toddler, and 2 dogs. 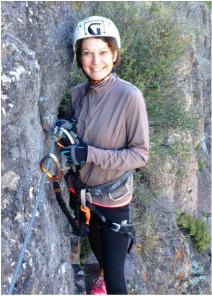 She enjoys rock climbing, mountain biking, and everything that involves getting away from it all! She is very excited to join the SLCSE team this year! 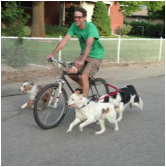 After 9 years working as a geophysicist, Larry moved to Utah and began his teaching career in Davis County in 1989. Over the next fourteen years, he taught middle school science and Chemistry at Bryant Middle School and West High School, respectively. During this time, he also worked as the Salt Lake District science specialist. In 2007, Larry founded the Salt Lake Center for Science Education (SLCSE) and served as SLCSE's principal from 2007 to 2015. From 2015 to 2017, he served as the Chief Operations Officer for the school district where he oversaw a variety of district departments including Exceptional Children Services and Student Services. He also supervised the school district's high school principals and principals of district charter schools. Throughout Larry's twenty-nine years in education, he has served on a variety of state level committees, including the chair of the Governor’s Science Advisory Council, a committee member on the Utah Technology Commercialization and Innovation Program, and a member of the Board of Directors of the Utah Science and Mathematics Consortium. He has also been involved in a number of partnerships with local organizations, particularly the University of Utah. Larry is passionate about working with students, teachers, staff, and families to assure the best possible learning opportunities. He believes the best education is one that meets the unique needs of each individual student, takes advantage of their strengths, and maximizes their academic and social growth. Larry is very excited to be the principal of SLCSE, working with MS. Powell, and looks forward to getting reacquainted with the students, families, faculty, and staff that make up our learning community. My door is always open and I welcome your input. This is Mrs Marino's fourth year teaching and her first year at SLCSE. She previously taught at Bryant Middle School. She is currently attending the University of Utah working on her masters degree in Earth Science. Mrs Marino is passionate about showing each student how science is a part of everything they do. She lives in SLC with her husband, two dogs and four daughters. She enjoys baking, hiking and attending her daughters' soccer games. Alondra graduated from SLCSE in 2014 and is currently attending the Salt Lake Community College. Elizabeth Moretz attended William Smith College in Geneva, NY where she earned a Bachelor’s degree in Biology and a minor in Environmental Science. She also has a Master’s of Education in Science Curriculum and Instruction from Ohio University. Elizabeth has been teaching Integrated Science, Biology, and Advanced Placement Environmental Science for 9 years. She is a Nationally Board Certified Teacher in secondary science education and is endorsed in Biology and Environmental Science. Elizabeth is especially interested in increasing student awareness of local and global environmental issues through service-learning experiences. Ashley earned a Bachelor's Degree in Civil Engineering from the University of Utah. She then continued her interest in engineering by completing a Master's Degree in Civil Engineering. She taught the engineering class at SLCSE during the school's inaugural year. That experience convinced her she wanted to work with students, so she decided to head back to school and get her Master's Degree in Educational Psychology which would allow her to work as a school counselor. She feels like working at SLCSE is a great break from her other job as a mother to three kids: her first little boy and her recent-addition twins. Julianna received a B.F.A. in Ballet and a B.S. in Physics Teaching from the University of Utah. She decided not to be a professional dancer, but still enjoys dancing when she can, taking class a few times a week. When she has free time, she may be found devouring books or learning tennis from her husband. Julianna is originally from a part of California where it does not snow, and so adjusting to the Utah winters has been an adventure. She enjoys being out in the sunshine whenever she can, even if there is snow on the ground. She would much prefer warm weather and swimming in the pool, but will take what she can get! Lastly, one of her favorite things to do on a work-light weekend is convince her husband to visit his parents in North Ogden so she can play with their cat. Britnie has a Master’s degree in Elementary Education. She has teaching endorsements in reading, mathematics and ESL (English as a Second Language). Britnie taught at Escalante Elementary for three years prior to joining the SLCSE faculty. There she also worked as a science specialist. Her classroom is a high-energy room in which science, art, math, music, reading and writing are all integrated. This means that students in her classroom learn to read, write and talk about topics that they study. She differentiates the curriculum to meet individual needs and has high expectations of all of her students. Her classroom is a busy place with children working on research, projects, technology, service learning and experiments. One of her passions is service learning and she is excited to implement this in her room again this year. She finds it incredibly engaging for students to identify school, community and world issues and then work to find and implement solutions. Students benefit socially, academically and personally from participating in service learning experiences. Britnie is the recipient of the 2016 Presidential Award for Excellence in Mathematics and Science Teaching and was the 2012 Utah Charter School Teacher of the Year. Gina's career includes 25 years in science education. She has a Bachelor’s Degree in Science Education, a Master’s Degree in Science Education and an Administrative Endorsement. Over the years of teaching Science/Biotechnology/STEM to students from kindergarten to freshman in college, she has networked with teachers, students, businesses, parents, community leaders, and administrators. These partnerships form the foundation for which good STEM education can be built and developed to meet the needs of our state. One of her interest is building a positive educational experience for all learners. Gina served as SLCSE's principal from 2014-2018, and is excited to continue working with the SLCSE community as a consulting administrator. Ms. Shell was the winner of the prestigious 2012 Presidential Award for Excellence in Science and Mathematics Teaching. She has a Bachelor's degree in Geology with a minor in Math from the University of Utah. Vivian has taught middle school math for 15 years. For 8 years, Vivian collaborated with a team of teachers from across the Salt Lake District to create a math curriculum targeted at providing a solid foundation for student success in Algebra. Vivian enjoys sharing this curriculum with others and discussing approaches to teaching that are rigorous and accessible to all students. She has presented units of study, both in professional development sessions and as a guest teacher in other classrooms, in her quest to collaborate with other teachers and increase student success in Algebra. Beth Snow is a recent graduate of the University of Utah, securing her degree in Secondary English Teaching, with an ESL teaching endorsement. She is excited to be joining the staff of SLCSE, considering it is where she student-taught during early 2017. Outside of school, she uses her time to “geek out” over various areas of pop culture (a lot of Star Wars), reading avidly, and playing with her 3 cats. Jason Splain has a Bachelor’s degree in Fine Art with an emphasis in sculpture and ceramics. In 2009 he finished his M.Ed. in Education. Jason taught at the elementary level for 5 years as a Special Educator. Jason has a teaching certificate in Special Education, endorsement in Teaching ESL, and his Wilson level I Reading certificate. Prior to his career in teaching Jason worked as a graphic designer for 10 years. He has been involved in and has created innovative lessons for the districts Intel Corporation funded Mathematics and Science Initiative. Candace graduated from Westminster College in 2015 with a Bachelors in Elementary Education. Since then, she has received a math endorsement and an early childhood endorsement. Candace will be starting back to school to get her Masters in ELL next summer. This is her third year teaching, having taught Kindergarten for two years at Riley Elementary. This is Candace's first year teaching 6th grade. It has been a big change but is having so much fun teaching Math ALL DAY! When Candace is not teaching, she loves reading and going on adventures with friends and family. ​Kiersten Thorsen teaches 7th and 8th grade math at SLCSE. She is passionate about mathematics and especially loves any combinations of math and art she can find. Kiersten has a masters in mathematics from the University of Utah. She lives in Salt Lake with her husband and two cats, and love spending all our time together. She loves to read, play games, cook, take walks, and hang out in her back yard gardening and watching hummingbirds. Karl Van Sycle has been teaching almost twenty years. He received his Bachelor of Science degree from Texas State university in San Marcos, Texas. He majored in elementary education with a minor in science education. For the last nine years he taught at a charter school in North Salt Lake. Before that he taught in Jackson, Wyoming and in Texas. Outside of school, his interests include fly fishing, target shooting, camping and hiking. He is also interested in geology, fossils, rock art, politics, current events, and computers. Ryan has been a teacher for 13 years in Idaho, New York, and Utah. He has taught math, Spanish, and math in Spanish. In addition to having lived in four different states, he has also lived in the Dominican Republic and Mexico. He graduated from Utah State University with a Bachelor's degree in Spanish and a certificate in International Relations. He finished his last year of undergraduate studies as an exchange student in Mexico at the Instituto Tecnológico y Estudios Superiores de Monterrey (ITESM) and attended both the Mazatlán and Guadalajara campuses. After working for nearly four years as a flight attendant based in New York City and traveling extensively through North and South America, the Caribbean, and Europe; Ryan moved back to his roots in Idaho to teach at the middle school level for two years. Then he returned to New York to receive his Master's degree in Adolescent Education with a Math emphasis from Pace University while teaching newly-arrived immigrant students in Queens. Ryan recently finished all the requirements for a level 4 math endorsement. He enjoys spending time with his family, hiking, camping, backpacking, fishing, and geocaching. Christine has been at SLCSE since 2013/2014 School year. She has been working with the Salt Lake City School district for 10 years. Previous to working with the Salt Lake City School Dristrict Christine worked in the Tooele County School District. Karl Weidhaas graduated with a Bachelor's degee from Montana State University in Psychology, then continued on to get a masters degree in sociolgy, and finally a masters degree in Special Education. Karl has lived all over the country, loves anything that involves being outdoors, and making all manner of things as a creative outlet. Ms. Wickelson has been teaching biology, chemistry, food science and environmental science for 10 years. She has a bachelor's degree in Environmental Science from The Colorado College, and completed her Master's of Science in Chemistry Teaching in 2011. She is passionate about service learning and inquiry based science and has crafted many hands-on projects with her students including running a school bus on student-made bio-diesel and creating a garden to school lunch program. She was named Utah Environmental Educator of the Year in 2006. Ms. Wickelson was the American Chemistry Society Utah Teacher of the Year 2011 and Salt Lake Valley Sience and Engineering Fair (SLVSEF) Teacher of the Year 2012. Note: A few folks are missing from this list, possibly because they are bashful about getting their picture taken. We will track them down!